Well after putting a years worth of full time work into our boat Kainoa, we considered her ready to go and were preparing to go to the Bahamas in Feb. I had redone every system on the boat, added quite a bit and outfitted her well. THEN I found out a person was selling a boat in the harbor and before I knew it, I was a two boat owner . 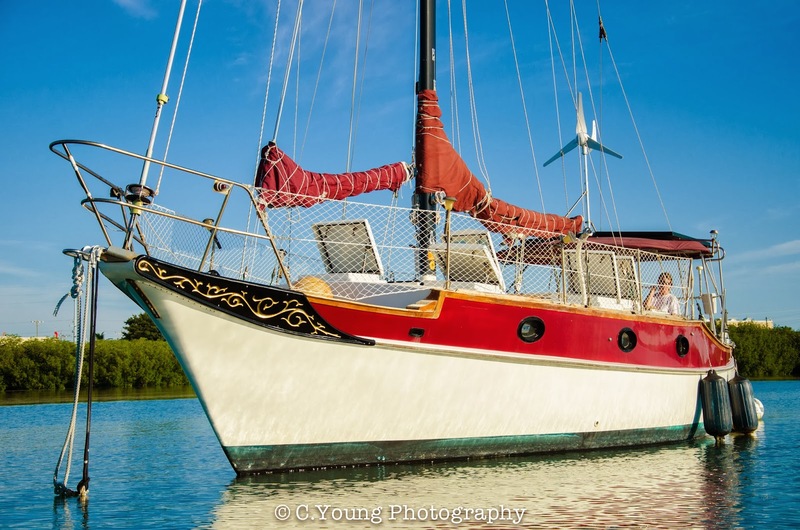 We are now the proud owners of a 1979 CSY 37 Plan B and will be putting Kainoa up for sale shortly. Kind of makes me wish I hadn't made my screen name the same lol. We will be here working in Marathon for the next year to get this boat ready and then take off to destinations unknown. Just thought I'd introduce the S/V Thin Line & her crew. ... Kind of makes me wish I hadn't made my screen name the same lol..
Greetings Cory, Jessica, Colby, & Peyton. Contact any Moderator, and they'll be happy to help you change your screen name. Been there. Actually, still there. We were at the very bottom of a refit on our first boat when I found our "perfect boat" for sale. Right boat, right price, wrong time. At least you had your refit done. We had to complete ours so that we can sell a sailboat, not a project. In the end, someone is going to get a really great Bayfield 32. Oh well, we don't do any of this because it makes any sense. Same happened here....we have one boat too many! Anybody wanna buy a really nice S2 9.2 30' Center Cockpit Boat with lots of work already done??? Good luck with your new boat! Put in a PM to a moderator and I'm hoping we can get the screen name changed.. Excited to have found "the one" everyone in the family is in love with this boat. I resisted the temptation so many times to just go ahead and quit rebuilding and just purchase a sailable boat. Still an option. Congratulations on the purchase and good luck with the sale. So this thread is for two-boat owners? Count me in too. The new boat certainly wasn't the plan after putting all new Raymarine instruments on our boat this spring … but when opportunity knocks …. Hopefully we'll all be one-boat owners soon! Now a one boat owner, we sold the Watkins last week!